Want to get on track? The Juan de Fuca Velodrome is open after a 3+ year hiatus. 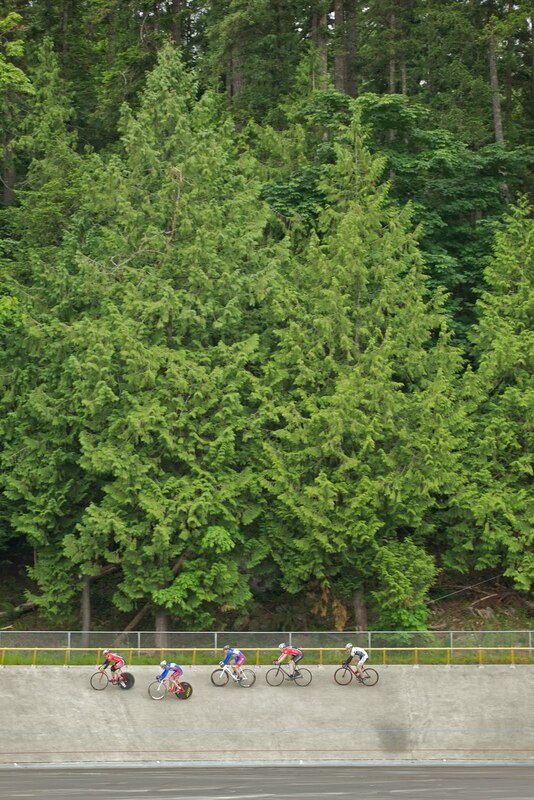 This first summer of riding, racing and hanging out (bring snacks) is a huge thing for the track bike community in Victoria. Our presence will be crucial to the continued access of the track, so if you're on the fence about coming out, do it! Every extra membership helps. To get access, riders must be a GVVA member ($10 yearly fee). Those new to the track will need to complete a Learn to Ride Clinic, usually hosted on Wednesday nights and some Sundays. The fleet of (rad) rental bikes run $5/ day. No toe clips & straps, only clipless pedals on the track. Have flat or riser bars on your bike? No problem. The fine people at the Greater Victoria Velodrome Association are keeping the gates open 7 days a week, with open track sessions every day, bunch races on Friday nights and timed events/ sprints Mondays, both after 6:30pm. Wednesday evening sees a 5pm start for Learn to Ride Clinics, and a 6:30-8pm organized training session. 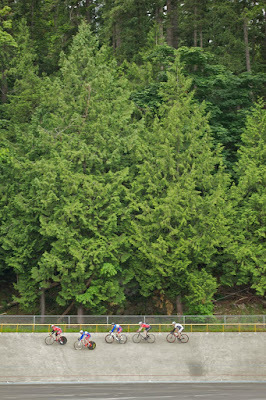 We will be out for bunch races this Friday and hope to see lots of you out there watching the action.